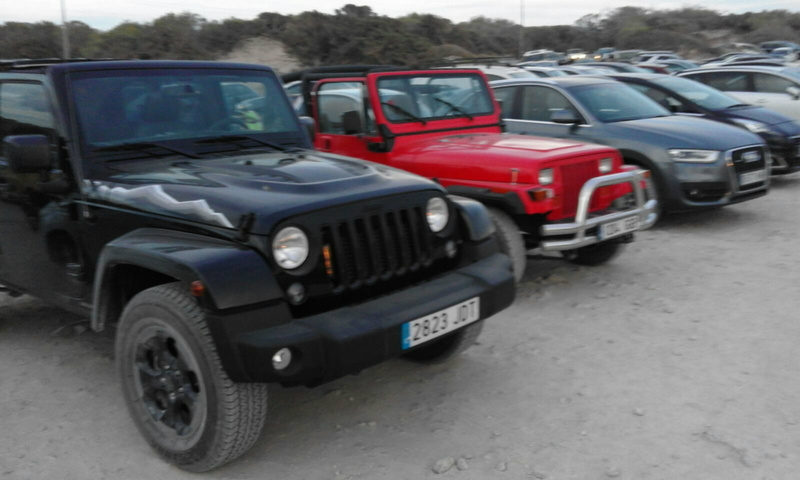 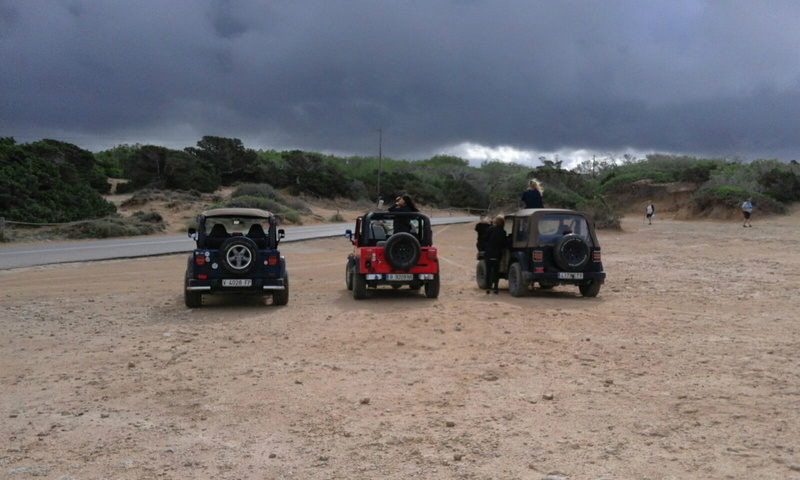 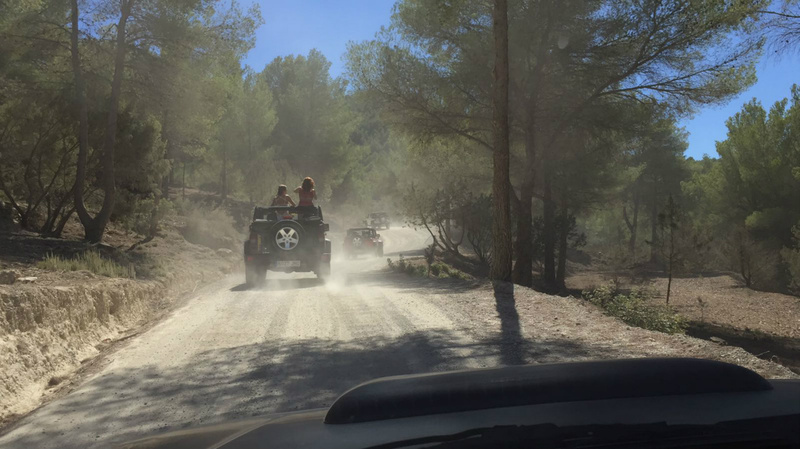 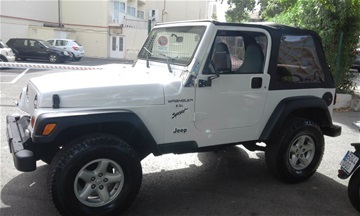 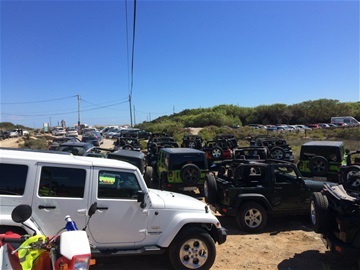 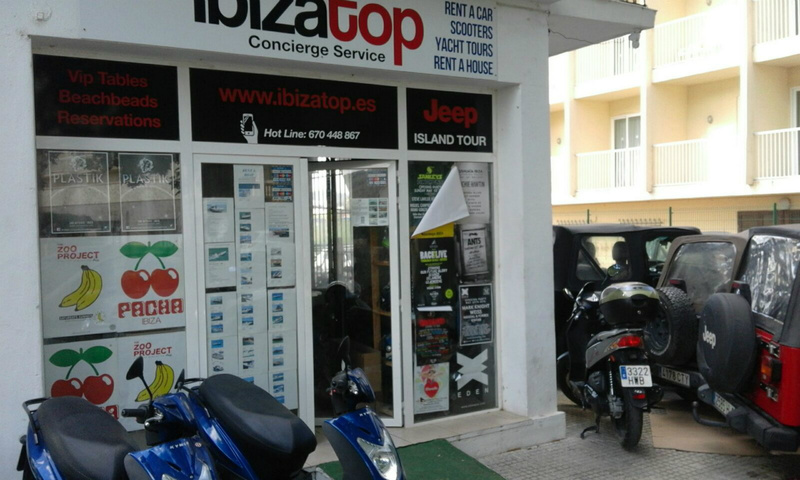 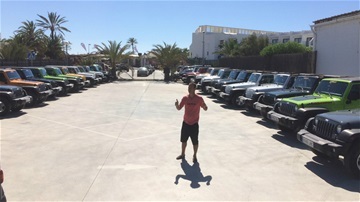 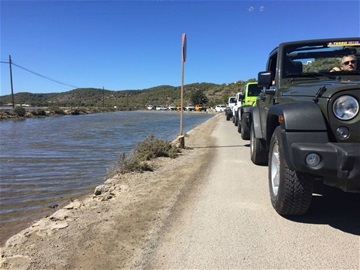 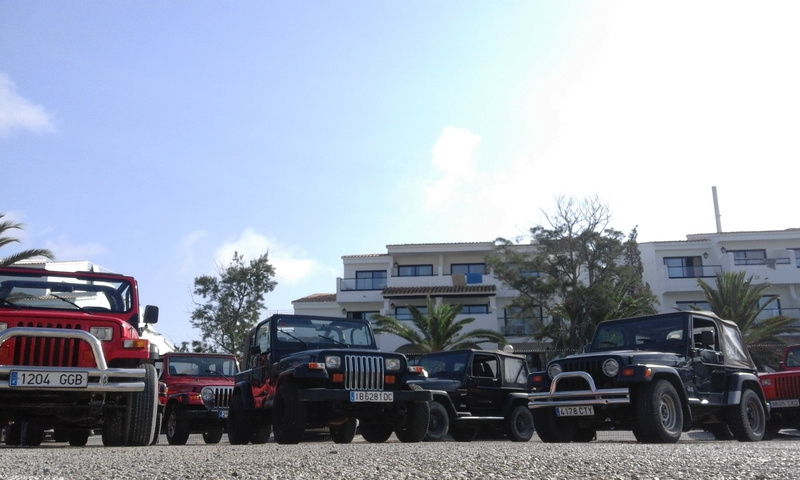 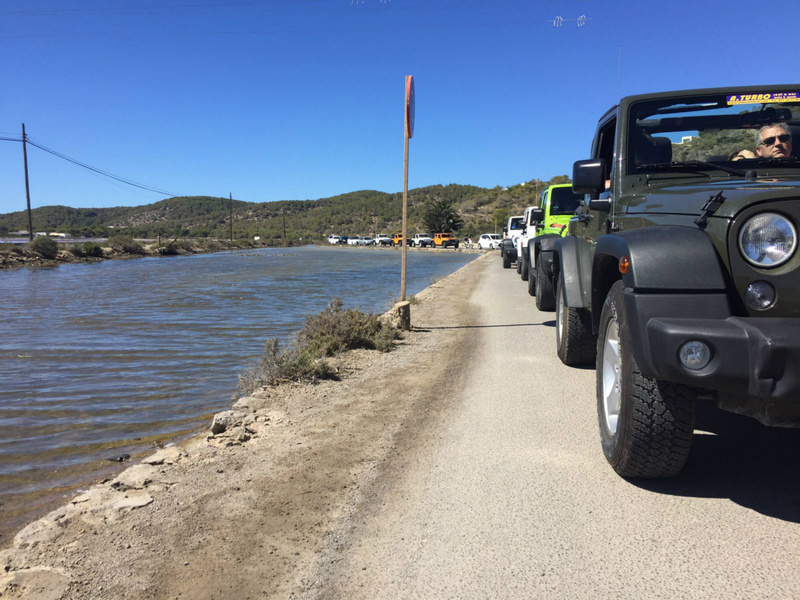 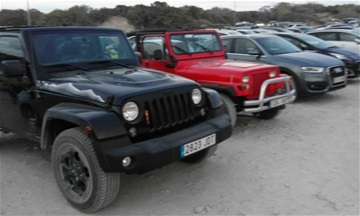 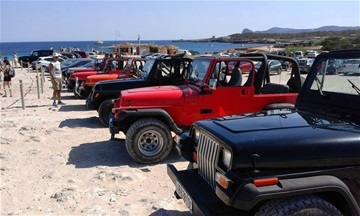 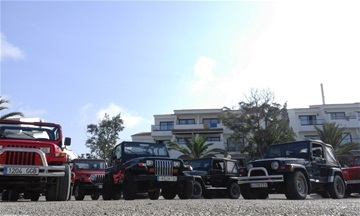 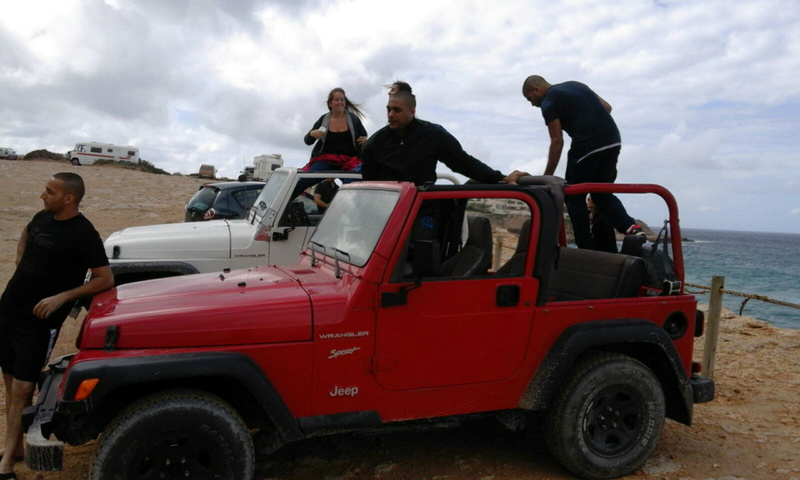 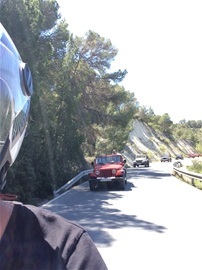 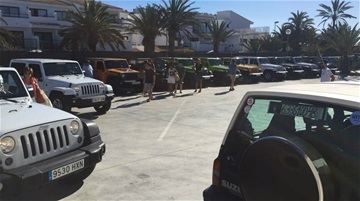 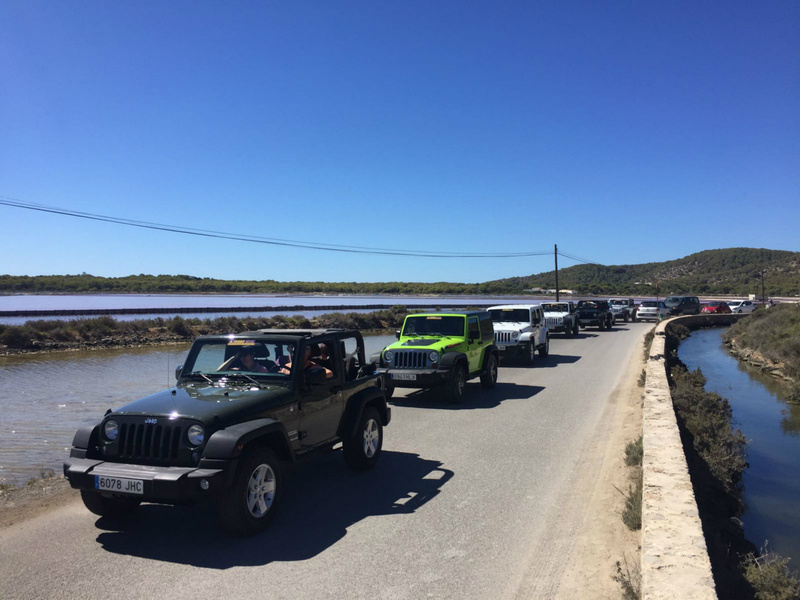 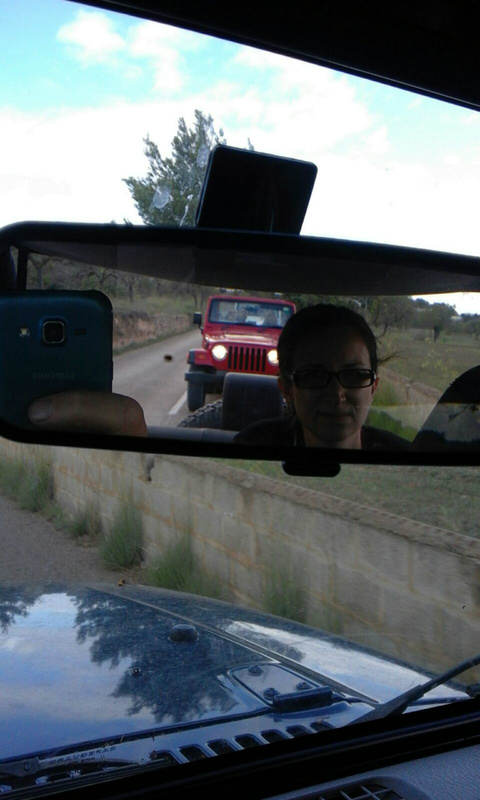 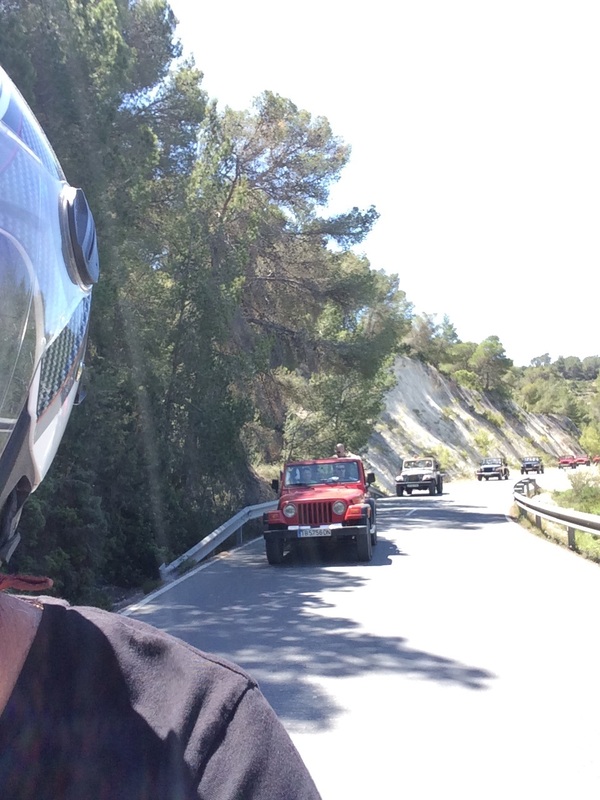 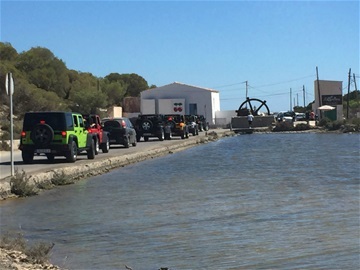 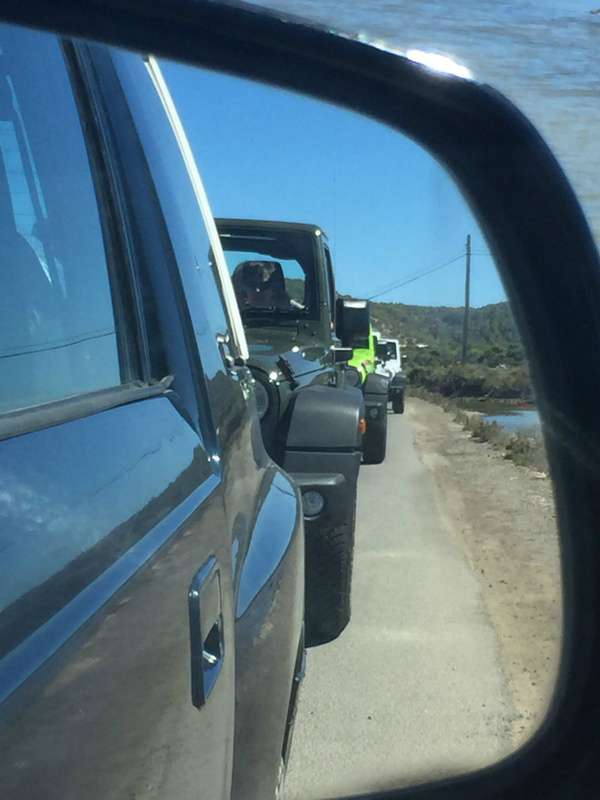 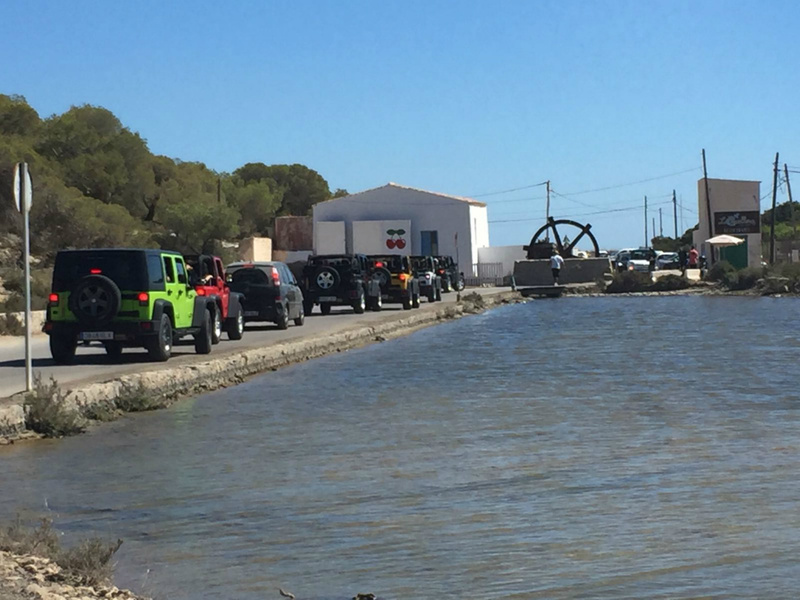 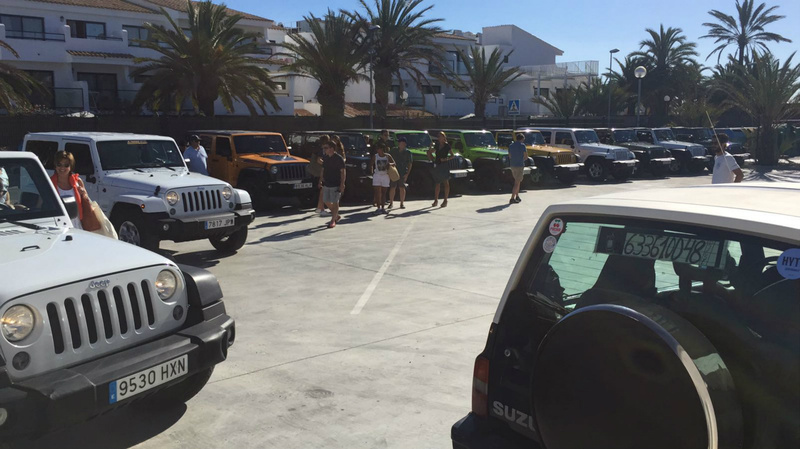 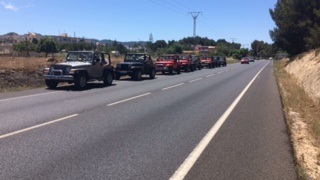 Classic jeeps Tour in ibiza!! 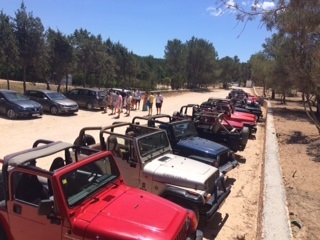 Parked for lunch at el chiringuito in Es cavallet beach. 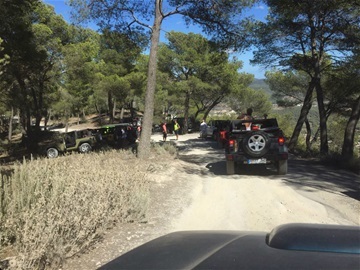 Welcome to Sa Talaia Mountain.